I didn't know that authentic Thai restaurant, Khunthai has an outlet in Butterworth. During my last trip to Butterworth, I had a large dinner gathering in Khuntai which is located very near to Li Hwa school where I used to play badminton very long time ago! lol! It was a Saturday night and the restaurant is packed to the brim. 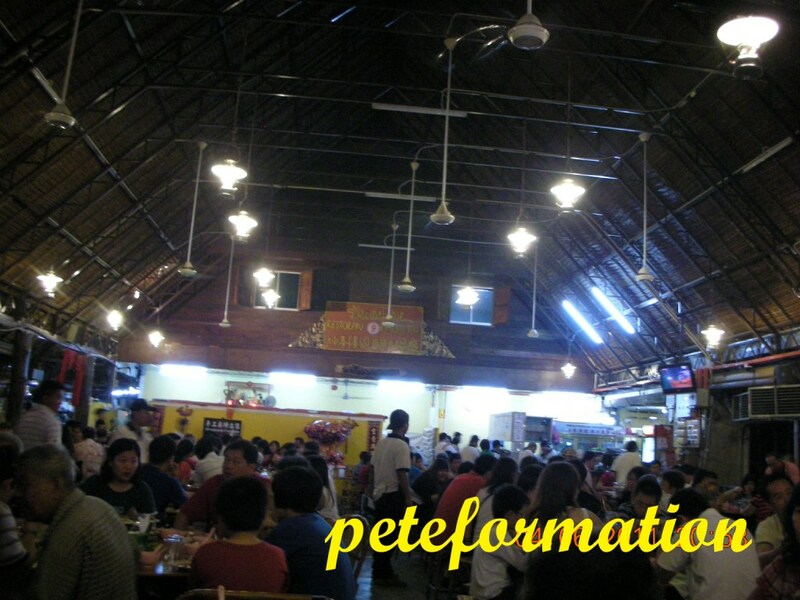 This photo below shows the main dining hall. There are many small huts around this main structure which gave this place a cosy village like atmosphere. Tomyam, the fiery hot, spicy and sour soup! A must have at Thai restaurant. This pot of Thai Tomyam is packed with flavours! Soup is good till the last drop. My son who loves Tomyam soup enjoyed it very much! 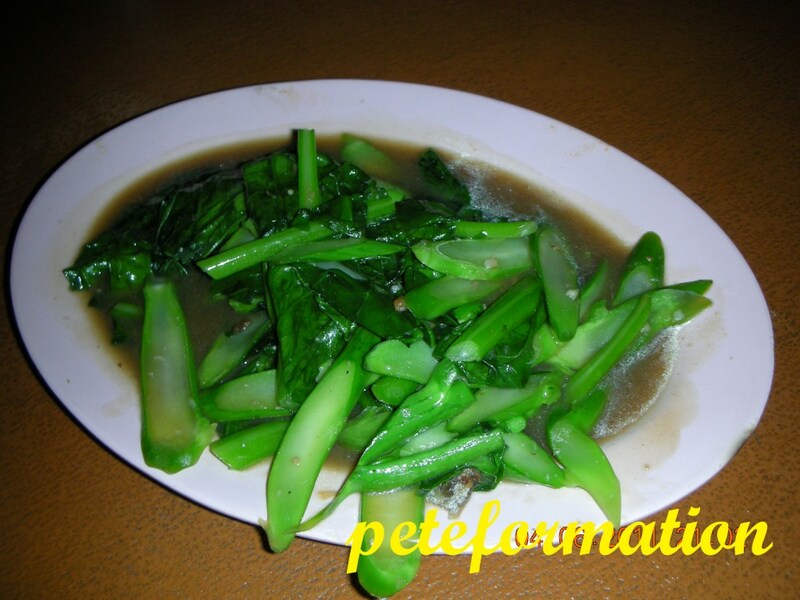 Kailan fried with salted fish. 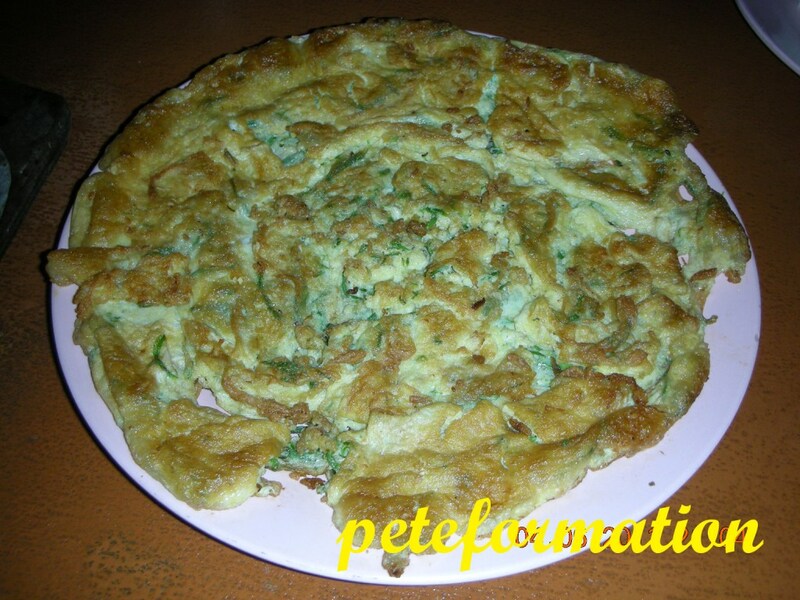 Everyone loves this Thai Cha Om omelette. Cha Om (Acacia Pennata) has pungent water weed smell when raw but this smell would disappear after cooking. It is slightly bitter and the leaves are normally used to make omelette. This simple omelette is very tasty. We had 4 plates of this omelette! I recomend this dish! Thumbs up! 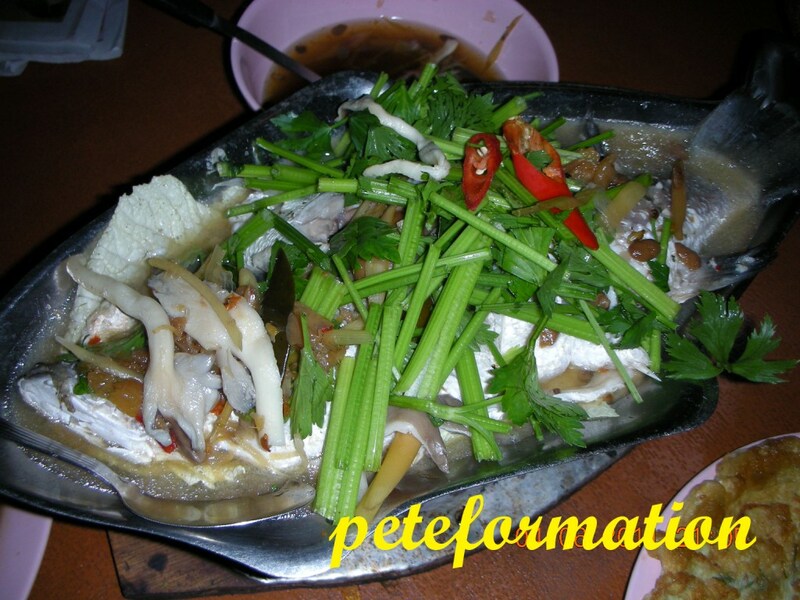 Steamed white Snapper, Thai style! 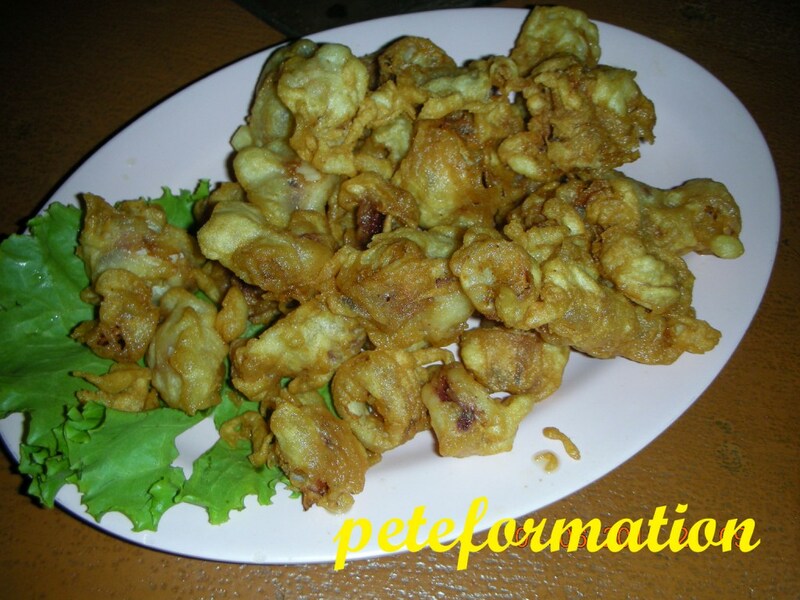 Crispy fried squid for the kids! This dish is called the Nameless Chicken! What a unique name. The chicken are fried with spices and granished with crispy fried shallots. It has nice aroma and taste delicious! We ate 4 plates of this Nameless chicken! this place looks big, i thought it's a food court! Next time i go for thai food, must chk out if they have cha om! these food pics are amazing! 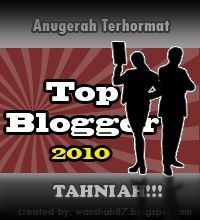 Ooooo....so many people - old man see already pening kepala. Hehehehehe! I prefer steamboat clear soup...not a fan of tom yam. Eh, where's the salted fish in the kailan dish? Didn't seen any also? 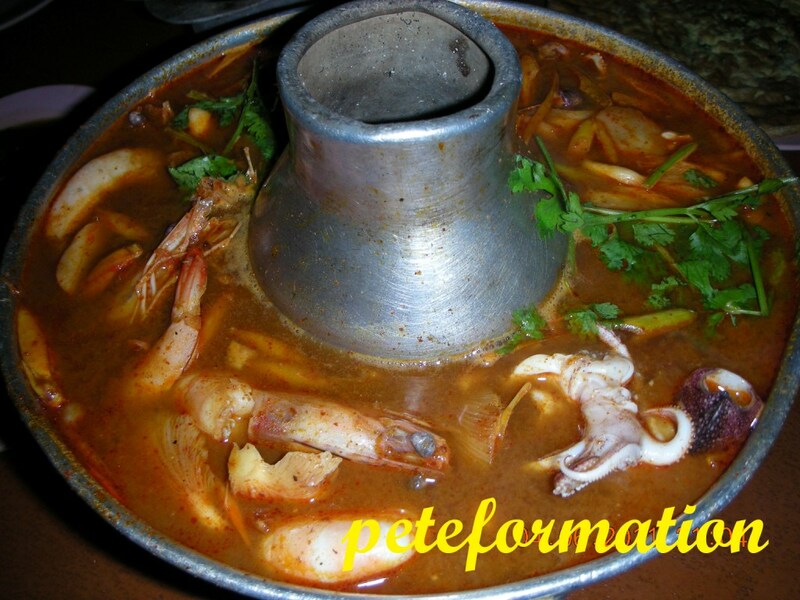 wow, salivating the tomyam pot! Wah!! Foods look so yummy!!! Before i read till end, i thought just your family, you can have 4 plates of nameless chicken it must be really good! hahahahha.. Later only found out, it's actually a big group of you all.